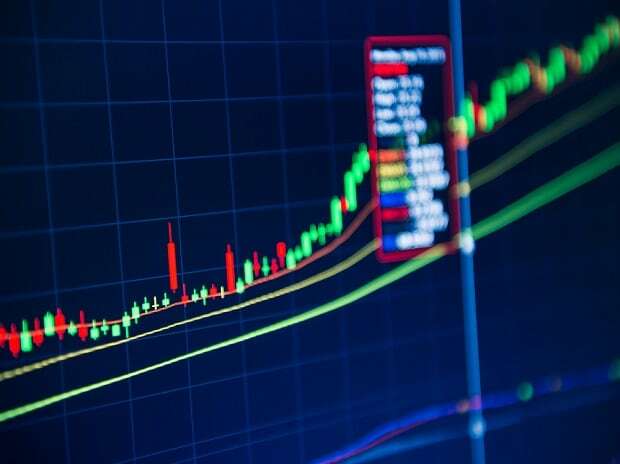 Among the sectoral indices, Nifty IT index, was the top gainer of the day, jumping 3.1 per cent led by a sharp rise in stock prices of Wipro, Infosys and TCS. Snapping their three-session losing streak, the benchmark indices settled nearly 1.5 per cent higher on Tuesday led by gains in heavyweight stocks such as Reliance Industries (RIL), Infosys, Tata Consultancy Services (TCS), HDFC and HDFC Bank. The S&P BSE Sensex ended at 36,318, up 465 points or 1.3 per cent, while the broader Nifty50 index settled at 10,887, up 149 points or 1.4 per cent. Among the sectoral indices, Nifty IT index was the top gainer of the day, jumping 3.1 per cent led by a sharp rise in stock prices of Wipro, Infosys and TCS. The broader market indices, however, underperformed their frontline peers. The S&P BSE MidCap index rose 88 points or 0.6 per cent to settle at 15,190, while S&P BSE SmallCap index gained 102 points or 0.7 per cent to end at 14,638. The rupee traded on a weak note on Tuesday, breaching the 71-mark against the US dollar to hit 71.15 in intra-day trade. The domestic currency had closed at 70.93 against the greenback on Monday. Shares of Infosys rose 3.7 per cent to Rs 727 on the BSE, extending their 2.5 per cent gain in the previous session, after the software services firm increased FY19 constant currency (CC) revenue growth guidance to 8.5-9 per cent from 6-8 per cent earlier. The company has maintained its EBIT (earnings before interest and tax) margin guidance range at 22-24 per cent. Shares of Wipro jumped 5.6 per cent to end at Rs 331 apiece on the BSE after the information technology (IT) company announced that its board will consider bonus issue of shares in its meeting on January 17-18, 2019. Asian stocks rose on Tuesday, supported by a bounce in Chinese shares amid hopes for government stimulus, while sterling braced for the vote in parliament over the British government's plan to exit the European Union. The odds look stacked against Prime Minister Theresa May winning approval for her deal. MSCI's broadest index of Asia-Pacific shares outside Japan recovered from early losses and advanced 1.3 per cent. South Korea's Kospi hit a one-month high and Japan's Nikkei added 1 per cent. In China, the CSI300 index of Shanghai and Shenzhen shares was up 1.7 per cent amid expectations of more government policy measures to prop-up a slowing economy. International Brent crude oil futures were at $59.62 per barrel, up 63 cents, or 1.1 per cent, from their last close. US West Texas Intermediate (WTI) crude futures were at $51.14 per barrel, up 63 cents, or 1.3 per cent. Market at close The S&P BSE Sensex rallied 465 points or 1.30 per cent to end at 36,318 while NSE's Nifty50 index climbed 149 points or 1.40 per cent to end at 10,887. COMMENT | HDFC Securities on ICICI Securities We are disappointed by management’s guidance of cost to income (C/I) ratio of better than 50% by FY22E and believe that being a technology driven broker, ISEC has the ability to reduce operating leverage. This becomes even more critical given the cyclicality of broking revenues. As all major segments of the business are under pressure, we downgrade stock to NEUTRAL with a target price (TP) of Rs 298 (+8.6%) based on 16x Dec-20E EPS.